Is there anything more exciting than a getaway to the beach to play and enjoy the sun, surf, and sand? Plan a vacation filled with fun family water activities and your whole crew will come home with endless memories. A great family destination to enjoy the outdoors is Gulf County Florida. There’s no better place to enjoy the coastline and build memories together as a family. Gulf County Florida makes it easy to find, plan, and discover the perfect excursions for your family with their Concierge Program. It’s an easy 3-question form where you share what your family will enjoy. Then, the team will help you match your interests with the best experiences for your family. 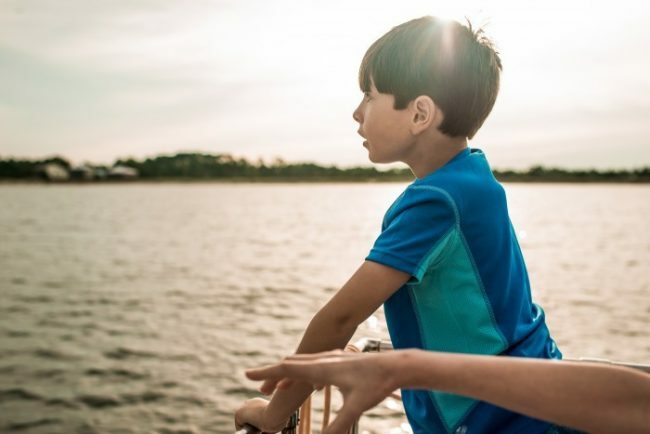 You can even learn from an expert during a free 20-min session that will guide you in the must-do experiences to help your family get excited and your trip planned for the perfect family vacation to Gulf County Florida! Have you ever wanted to take a step beyond the bounds of an aquarium? At St. Joseph’s Bay, you’ll beautiful clear saltwater that is abounding with sealife and soft grass flats in shallow water that’s perfect for exploring. You may be able to spot turtles, dolphins, seahorses, and other sealife all during your visit. The whole family will be giddy as you wade in the shallow water and discover the gulf coast come to life! 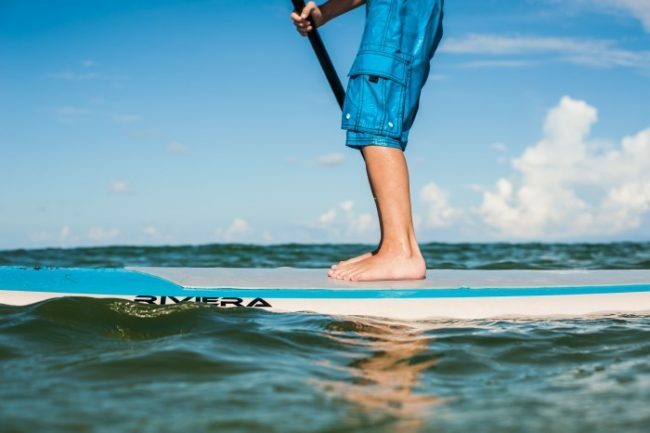 Paddleboarding is a relatively new craze that even kids as young as ages 6-8 can enjoy! Let them try it solo or have your children paddleboard with you. Make sure your child is able to swim and bring a life jacket along for your adventures. Trying something new will build a memorial experience for the whole family. This gives you a really close and personal experience in the Gulf and is a workout to boot! You can get started with paddleboarding in a kneeling position first, and then try standing as you get more comfortable with your stability. Whether you’re up for giving paddleboarding a try, or not, you should still plan an outing in kayaks! 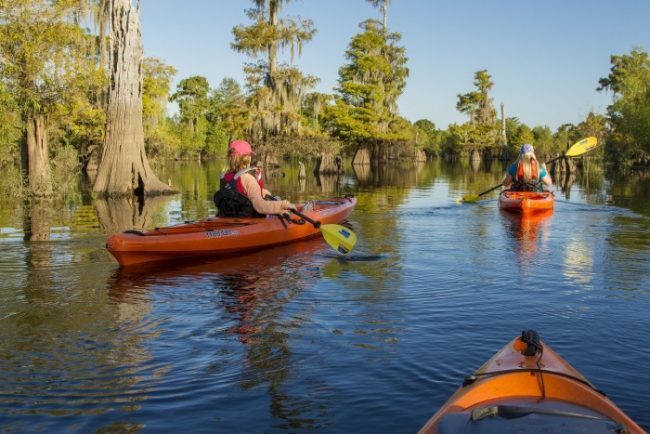 In a kayak you’ll be able to enjoy the scenery and wildlife while feeling the gentle, calm atmosphere out on the Gulf. Kayaking is also an easy way to include your children. Young kids can ride in your kayak and older children can manage their own kid-sized kayak. This will give the whole family the chance to explore together. Head to Port St. Joe Marina or to Captain’s Cove Marina and spend an afternoon watch the boats coming and going through the port. While there you can book the perfect excursion for your family from a day out snorkeling to an eco-tour or even a sunset cruise! Whether you choose a boat tour to inform, thrill, or relax you’ll have a wonderful time out in the Gulf. There are many places you can set out together to fish and catch your own fresh dinner right from the Gulf. Set out on a fishing excursion if you’re inexperienced and learn about the different fish found in the coast including Mahi, Red Snapper, Flounder, and more! 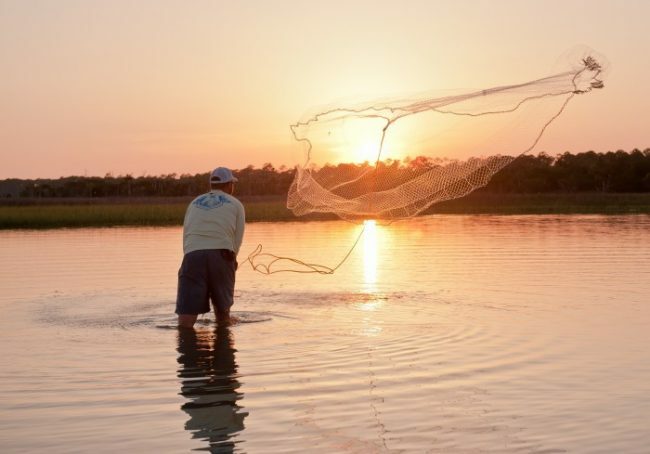 If you’ve been fishing before, you can find a quiet spot to enjoy the beauty that surrounds you as you try to catch either saltwater or fresh water fish – you can find both locations in Gulf County Florida! Which of these would be your favorite way to be In “Gulf’ed” in the experiences offered in Gulf County Florida? Wow! I’m thinking I need to plan a family trip back to Florida! 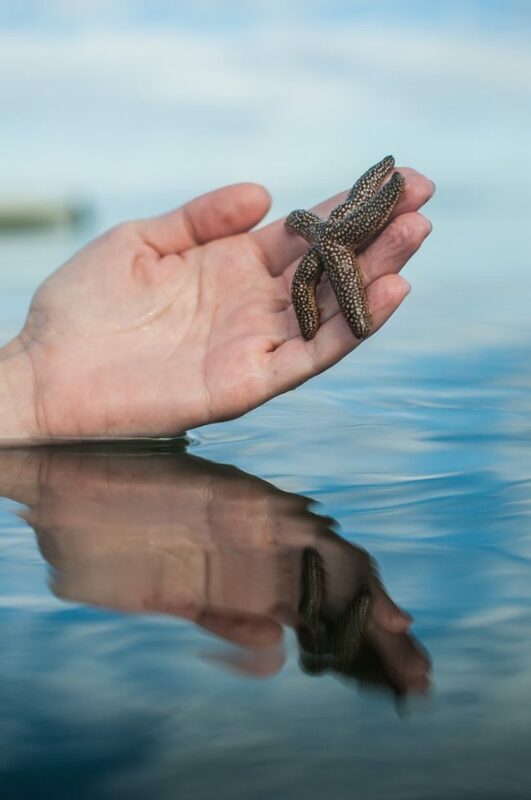 That starfish is so awesome and I know everyone would love paddleboarding. I love Florida and my boys love Love LOVE fishing! And the sky… Florida has the best sunsets ever! this is the kind of family excursion that is the best way to unplug and reconnect with your kids! There are so many great ways to bond over the beauty and nature in the GULF and I think it is a trip that is definitely on my future must travel to list after reading your post! Going to the Gulf sounds like a great plan to me! I was just saying I wanted to try to Paddle Board so that sounds like a perfect family adventure for us all to try. Ohhhh, these all look so fun….especially the sea life one!! We still have snow where I live, so these activities look very appealing!! Wading in the water and discovering the sea life sound like the perfect vacation to me. This sounds like a wonderful place to visit. 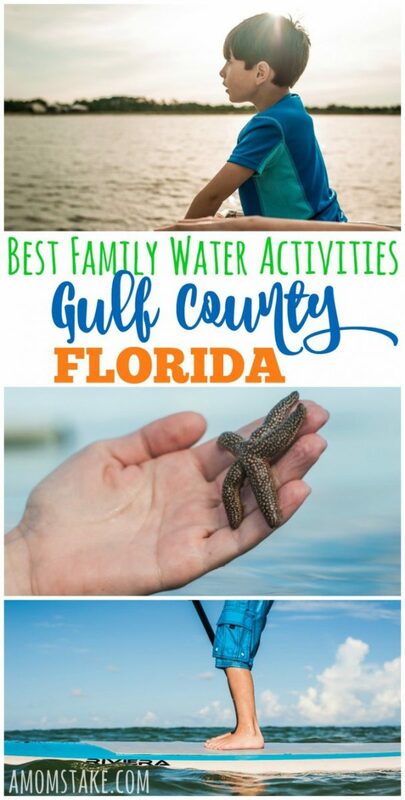 We have always wanted to visit the gulf of Florida, seems like such a great family friendly place to visit. And all of these great water activities, make me want to visit there even more! We have not been back to the Gulf for years! We LOVE going for all the reasons you said above! It helps us to all unplug and also have SO much fun on the water! I love all your ideas!